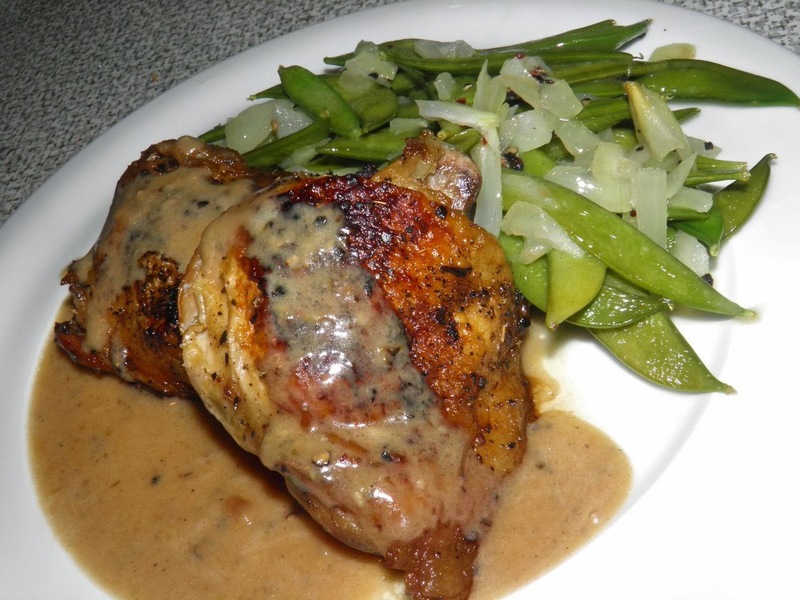 This recipe is the love child of the famous “40 cloves of garlic chicken.” That’s a recipe where you either stuff 40 cloves inside, or around, a chicken and then roast it. Tasty stuff. 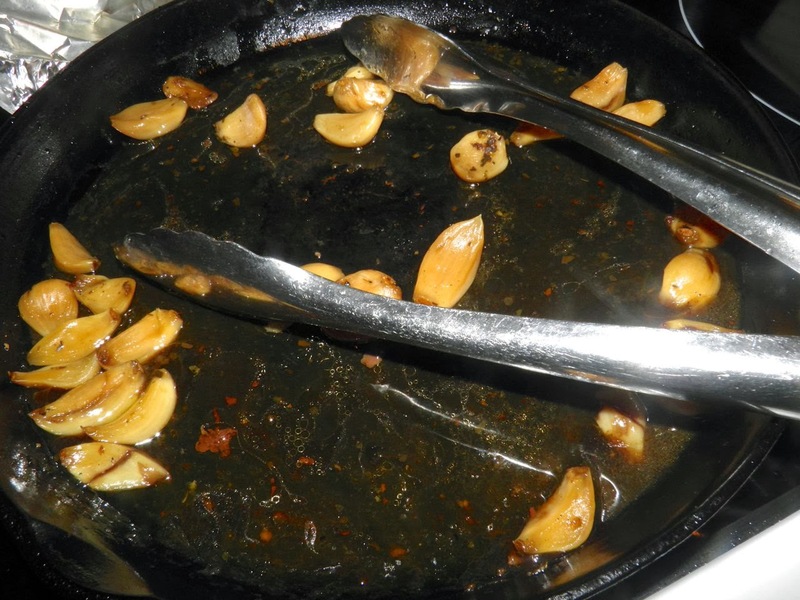 If you like roasted garlic, you’ll love this recipe. It’s not quite the same but pretty close. They’re more “braised” than roasted, but make one heck of a delicious sauce. With the crappy weather we’re having today, tons of garlic may just be what the doctor ordered. There’s something homey about a deep, rich, garlicky sauce that just cannot be beat. It’s heart-warming and spirits-lifting. Heavy garlic recipes are really meant for snowy days. Don’t be afraid of the amount of garlic. Yes, it’s a lot, but it transforms as it cooks and makes the most amazing end result. Is there such a thing as too much garlic? Garlic has to be one of my favourite, of not my most favourite, ingredient. We actually stuck some in the ground a year ago in the fall. Each individual clove will make a full head. They need to over-winter to grow best. But sadly the slugs, or something, found them. Disappointing. As far as recipes go, this really can’t be easier. The only thing it does take is a little time, but most of that is baking. So it’s not like you’re watching a pot. Although perfect for a family dinner I would hazard a guess this is “fancy” enough for company, too. That sauce is really something to die for. Brandy, cream and garlic. Can’t argue with that! 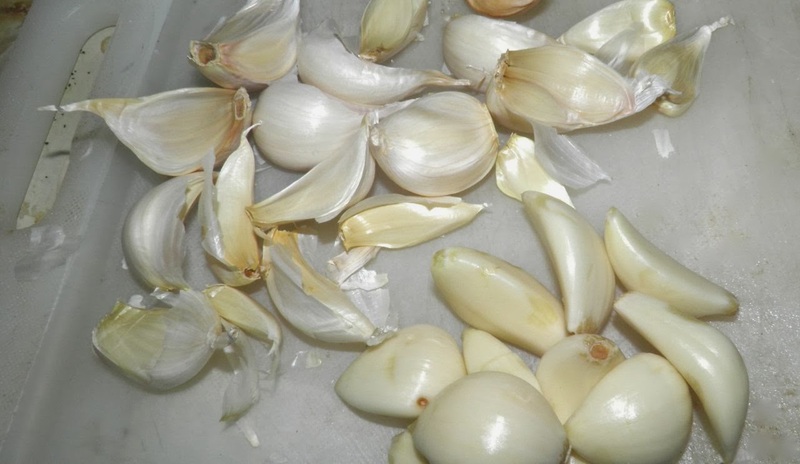 Peel all the cloves from two whole heads of garlic. Set aside. Preheat the oven to 350°F. 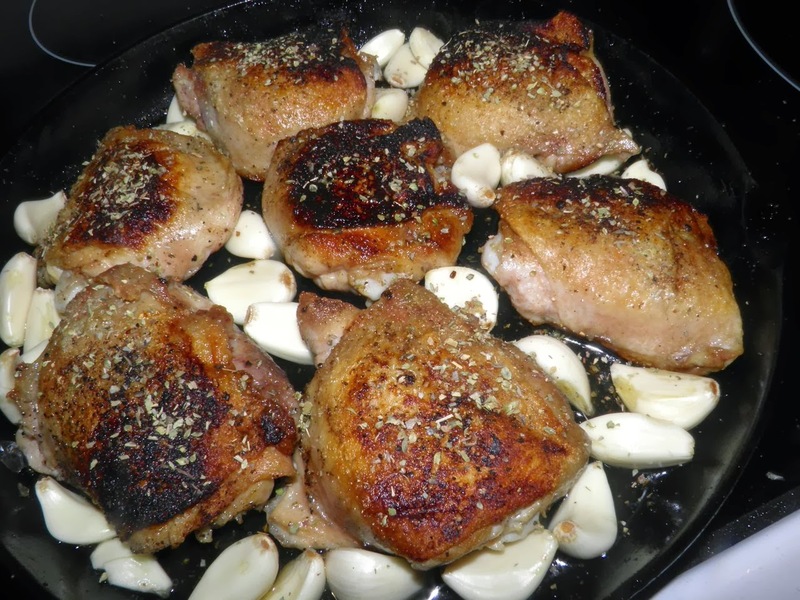 Heat an oven-proof skillet to medium high and fry the chicken until browned. Season it with salt and pepper as it cooks. Start bone side down. Fat will render out. Turn the chicken and brown the skin side. Once the chicken is browned, pour off all the fat except for 2 tablespoons. Nestle the garlic around the chicken, pour in the brandy and sprinkle the chicken with the oregano. Wrap the pan tightly with foil (or use a cover if it’s oven-proof). Place the pan in the oven and bake for 1.5 hours. Then remove the pan and set the chicken aside, keeping it warm while you make the sauce. 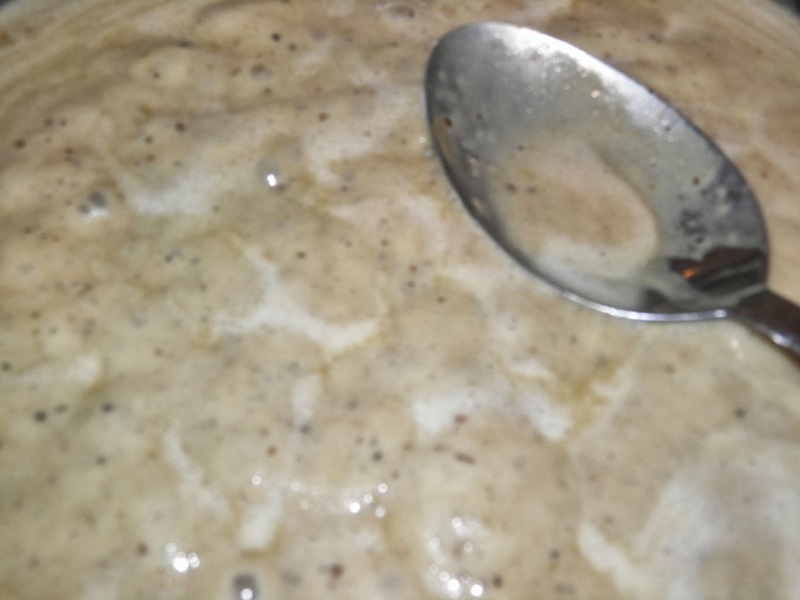 Place the pan juices, garlic and cream in a blender or food processor. Pulse until the garlic is puréed. Take care to not “whip” the cream too much, but it will thicken. Don’t worry. Pour the sauce back into the pan. Bring the sauce to a simmer and let cook until reduced slightly and is a little thickened. Taste for salt and pepper and adjust. Spoon some sauce onto individual plates, top with two thighs per person and then drizzle with some more of the sauce. Serve. Feel free to comment. I'll always try to respond. If you like this post, feel free to share it. All I ask is that you credit me and share a link back to the original. Hand Rolled Pasta - you can do it!